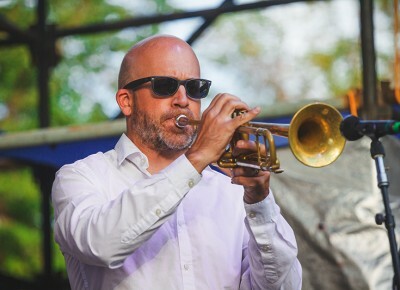 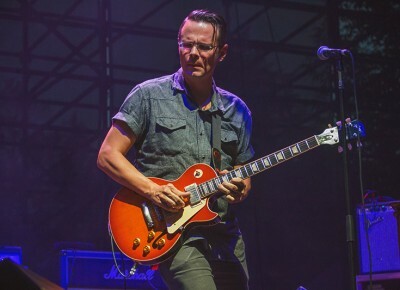 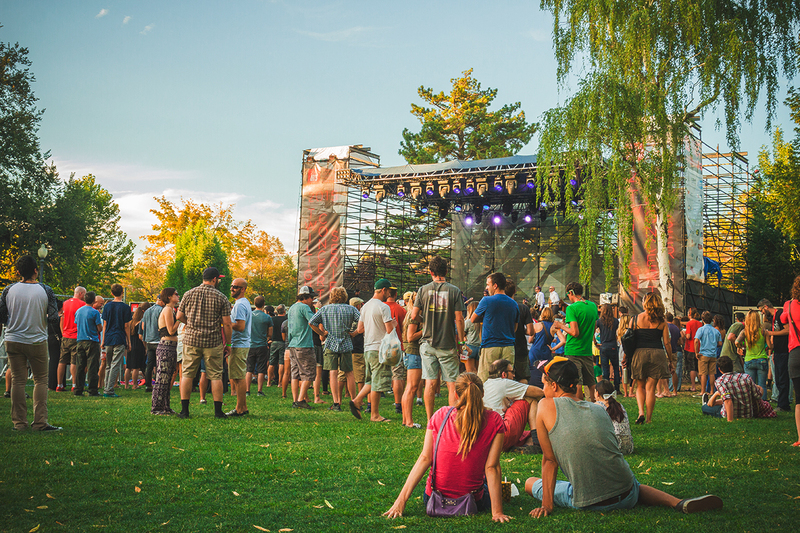 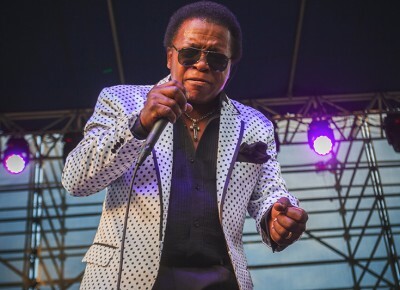 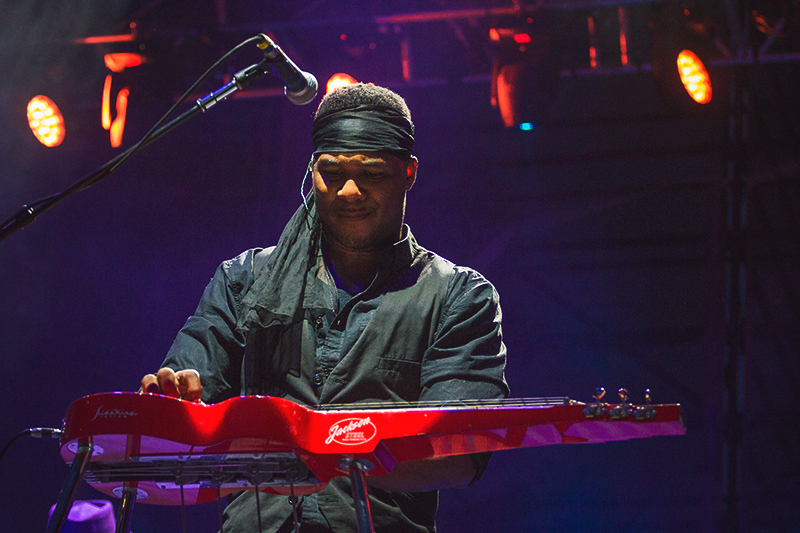 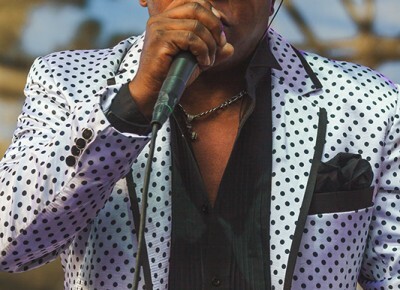 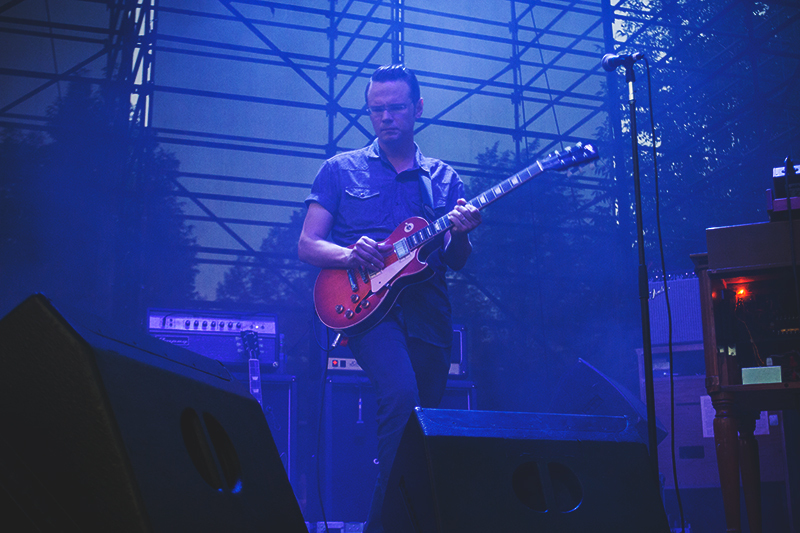 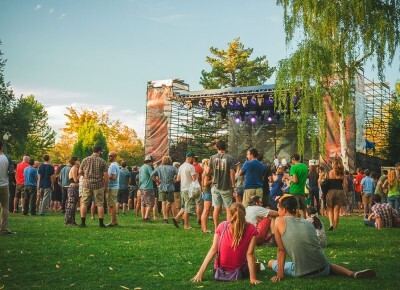 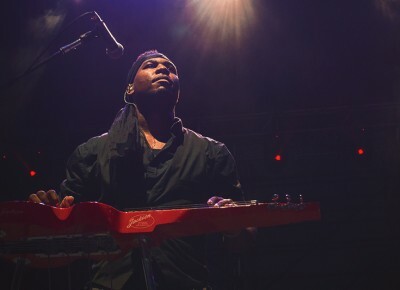 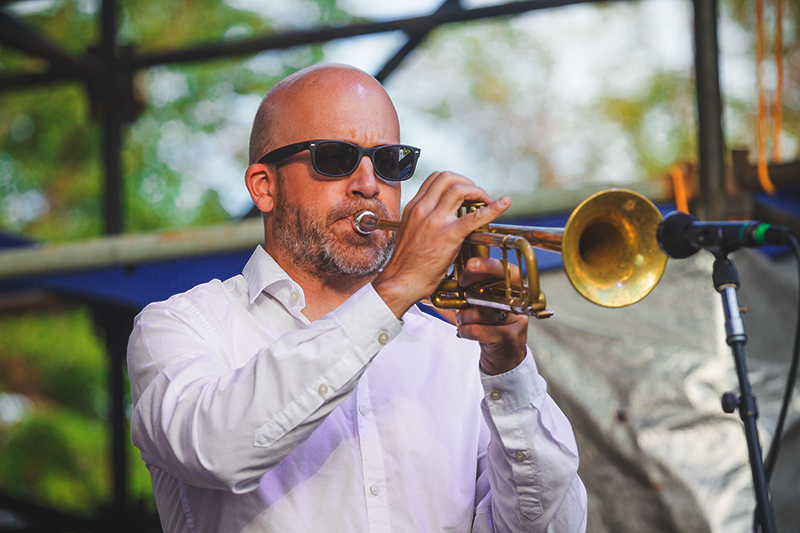 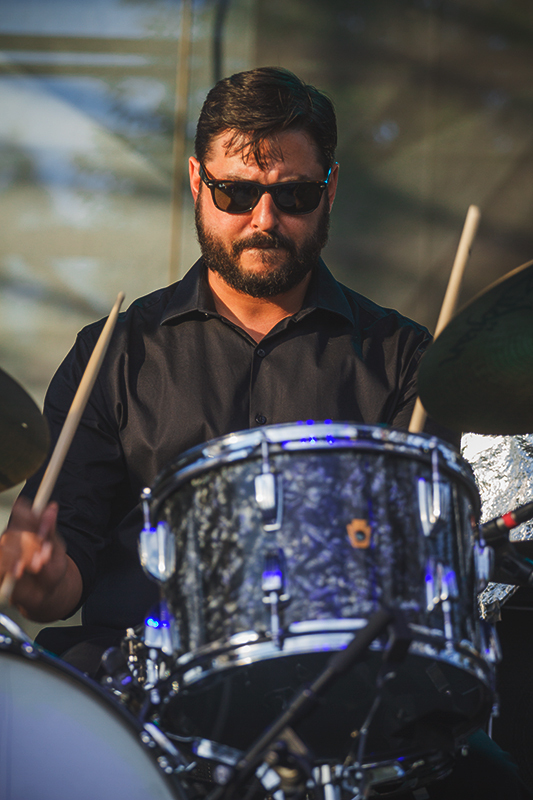 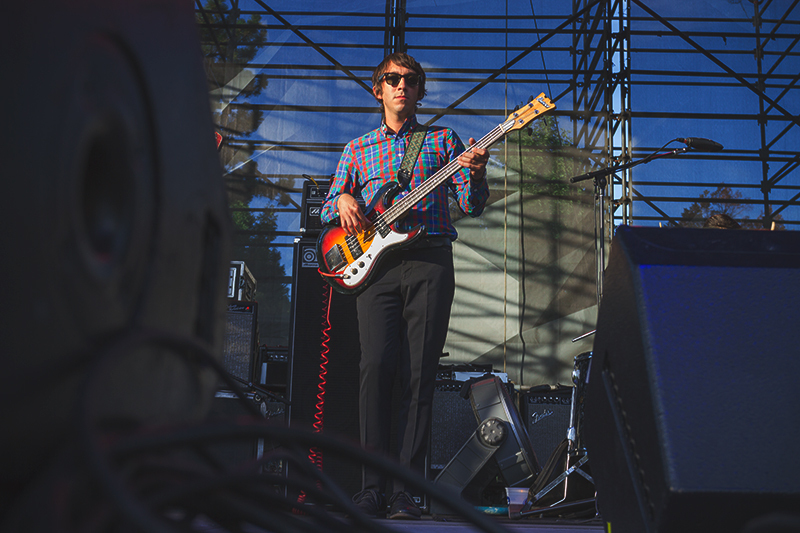 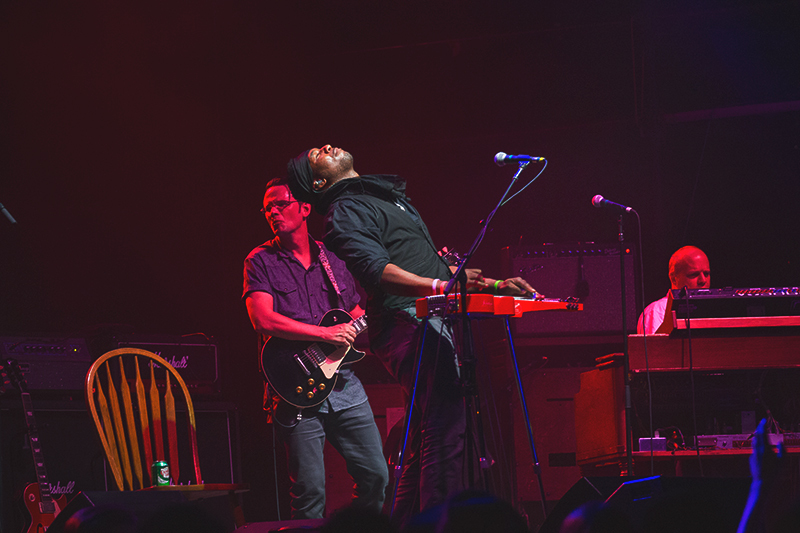 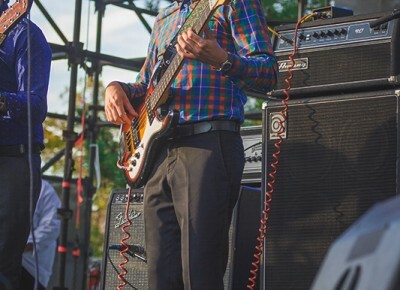 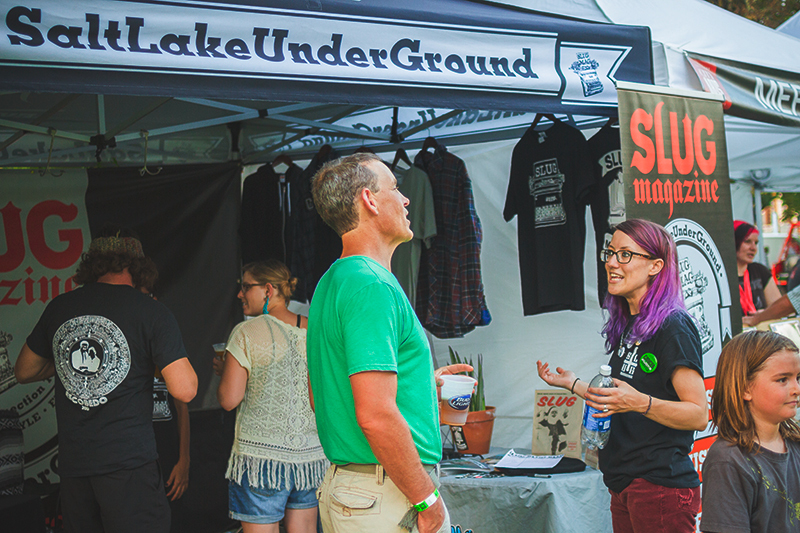 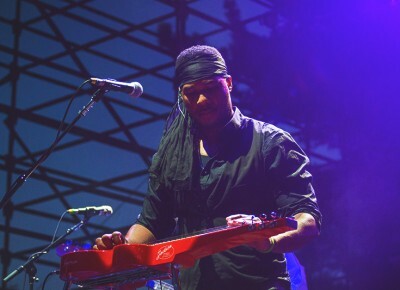 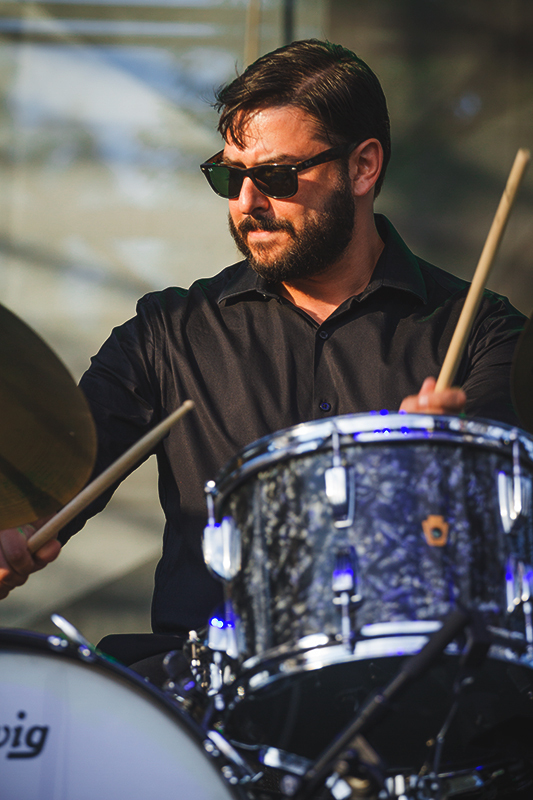 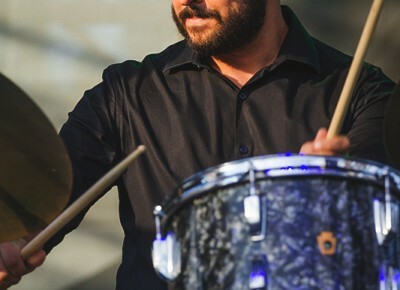 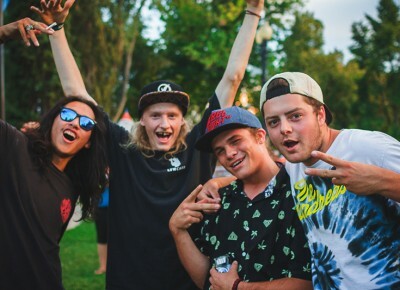 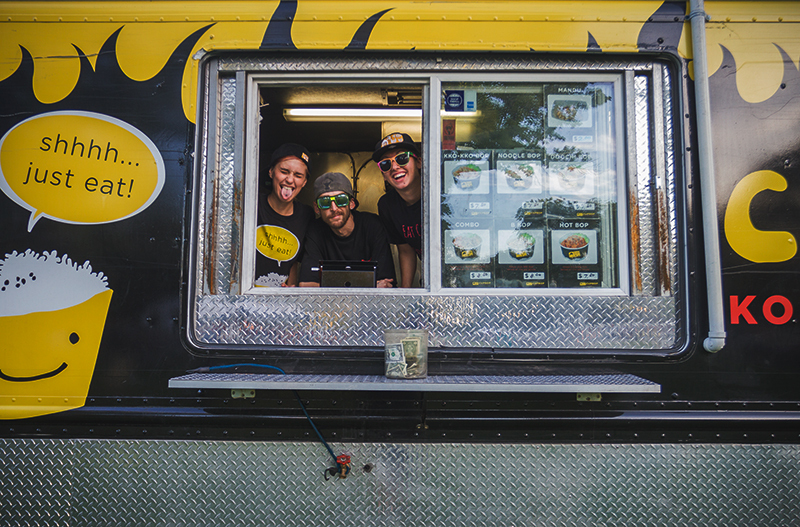 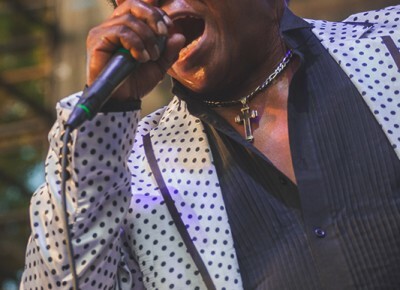 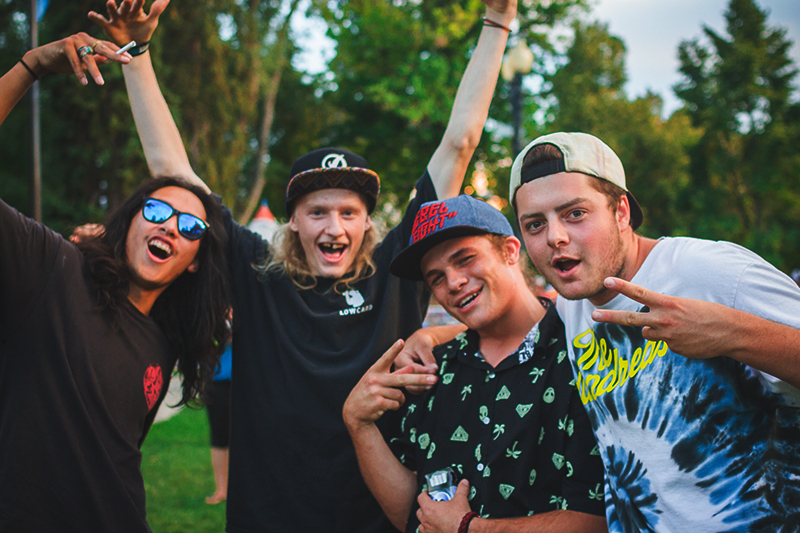 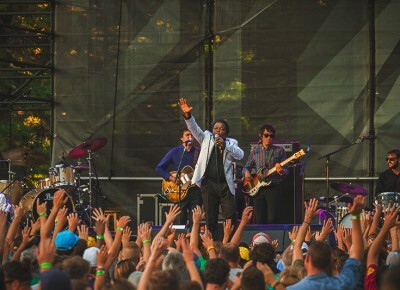 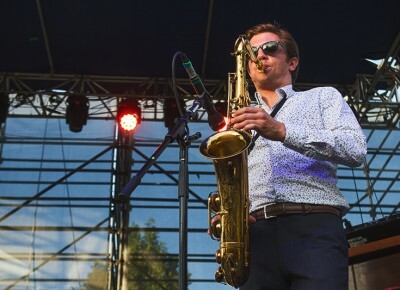 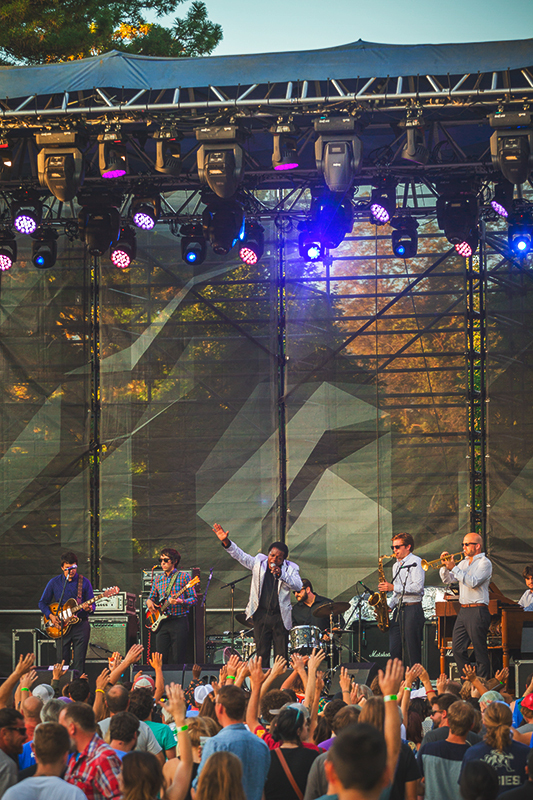 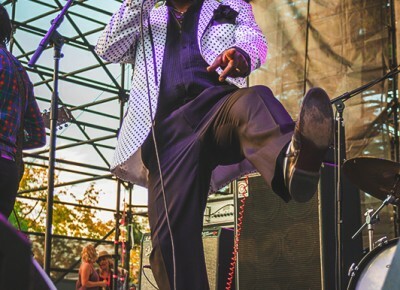 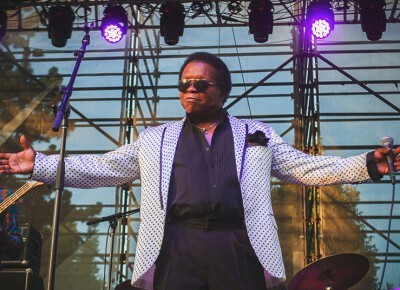 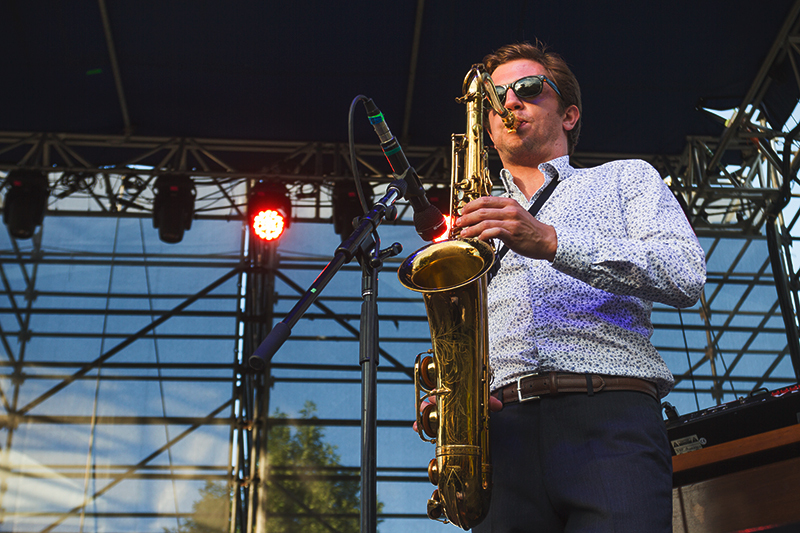 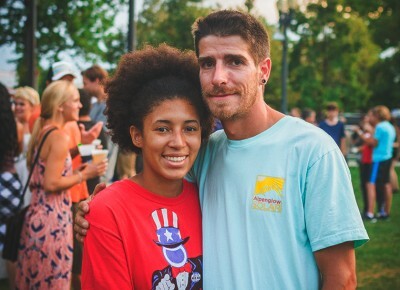 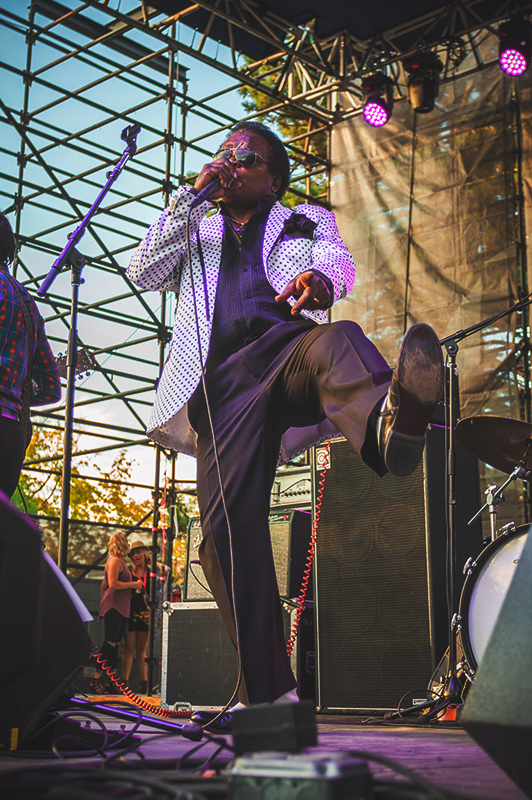 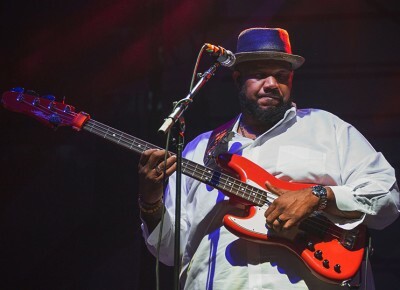 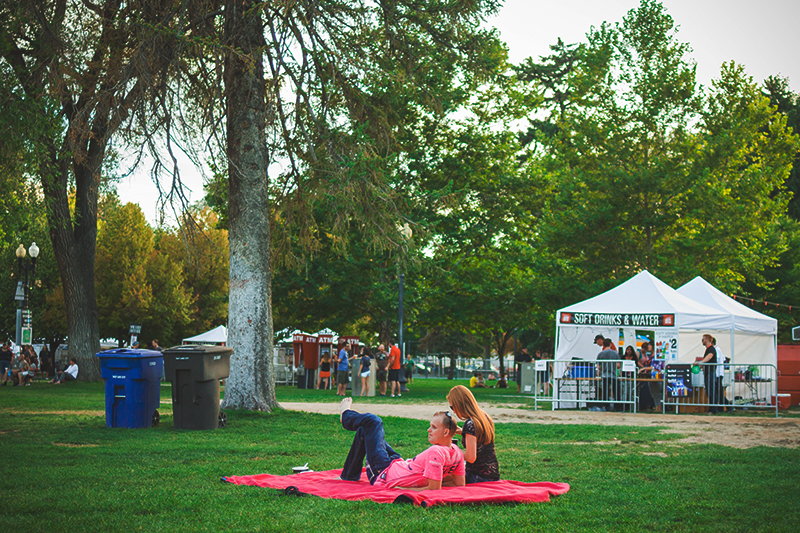 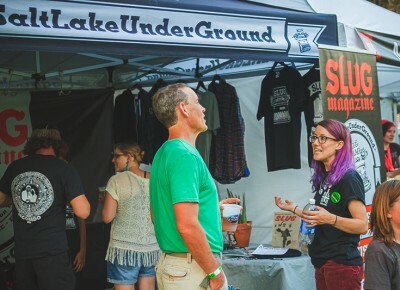 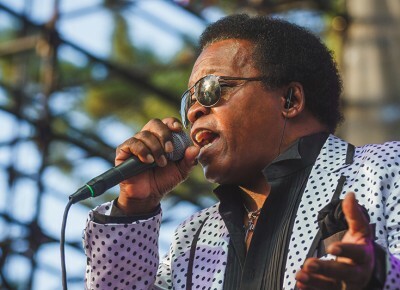 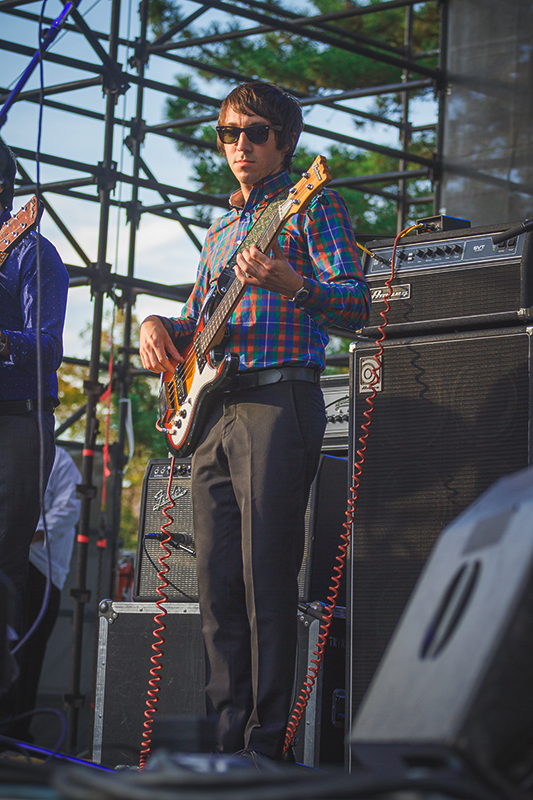 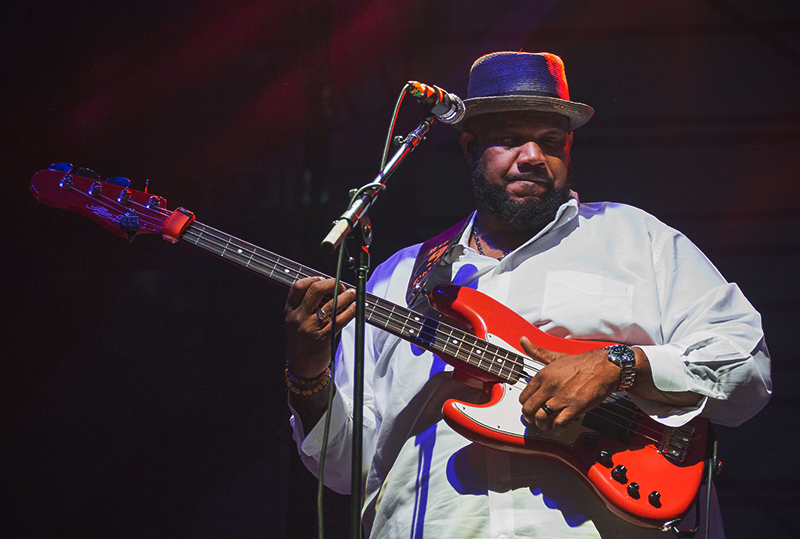 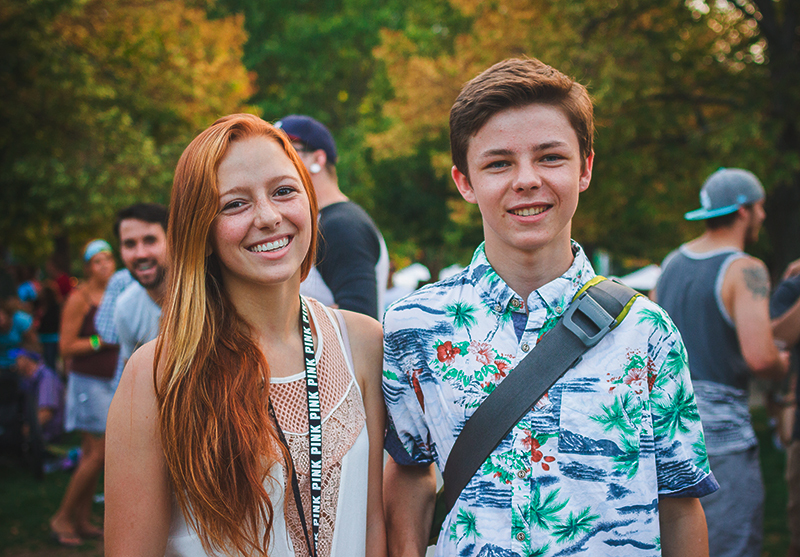 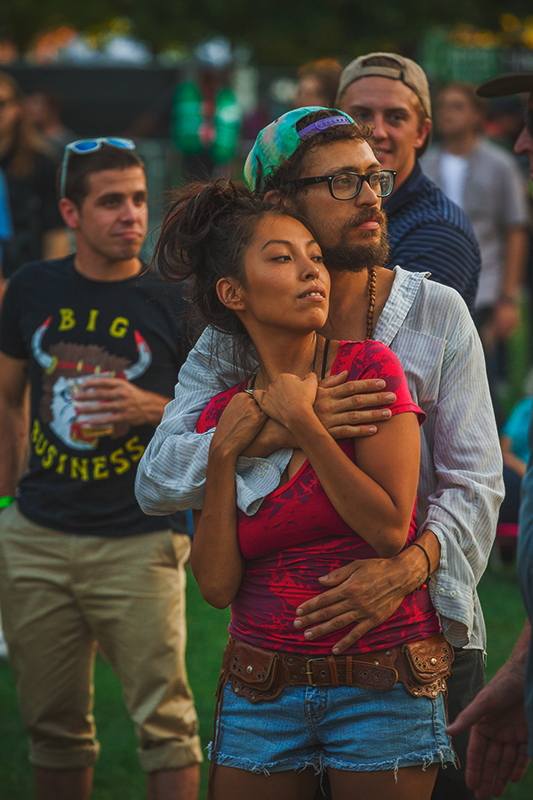 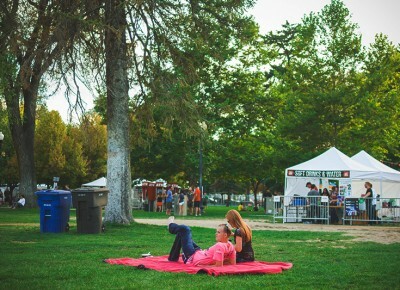 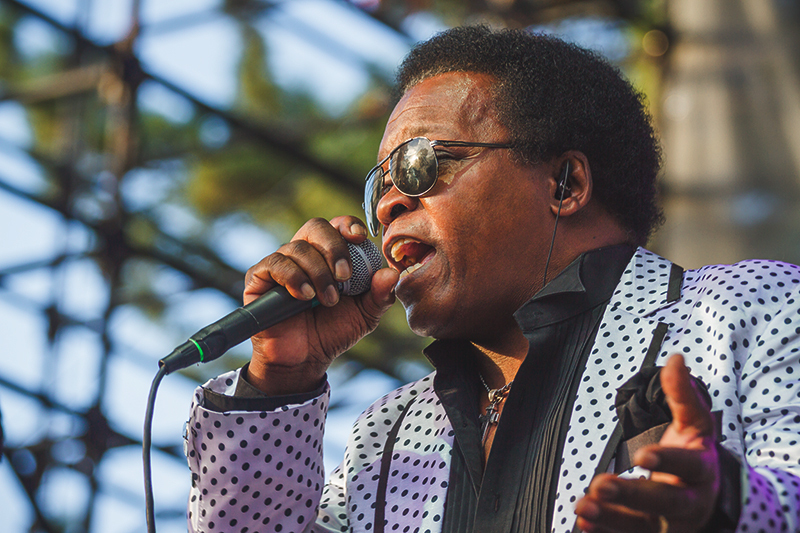 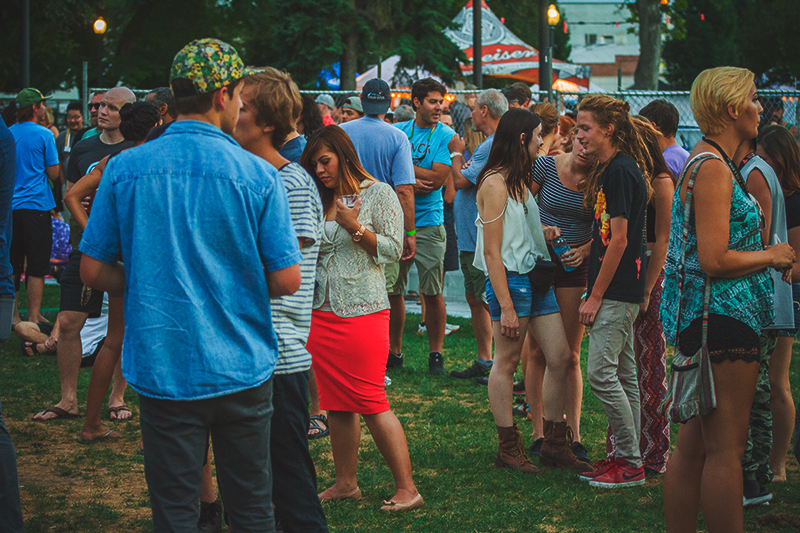 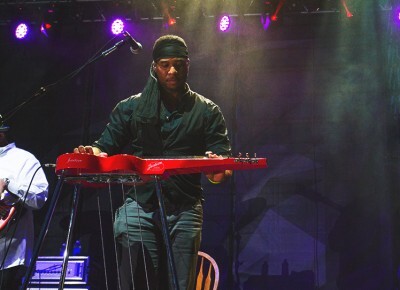 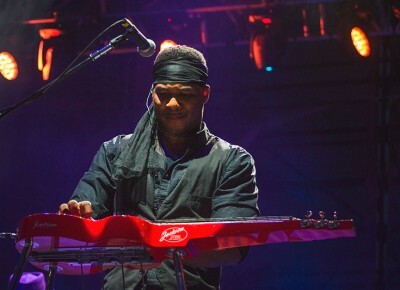 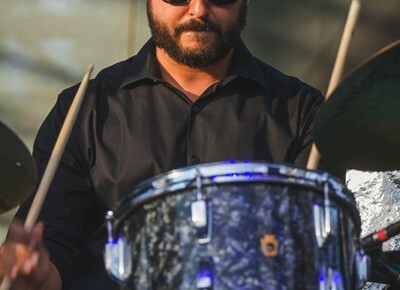 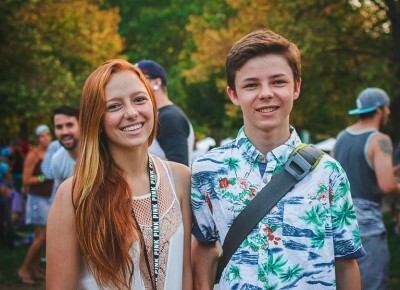 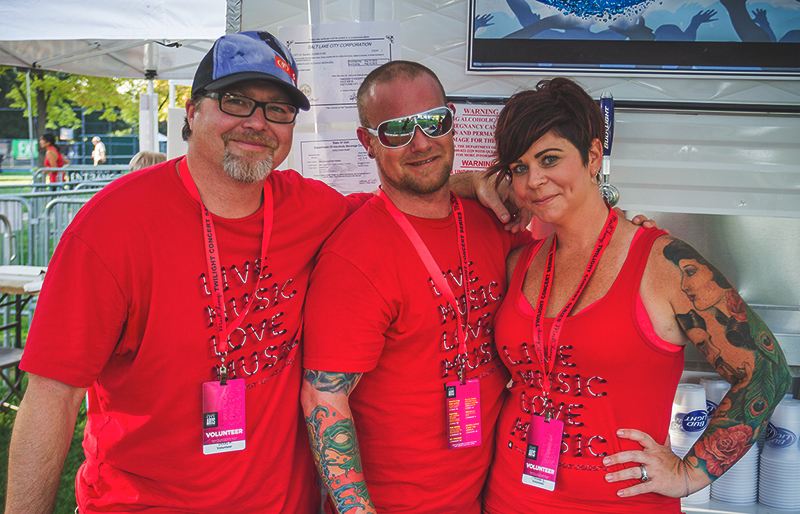 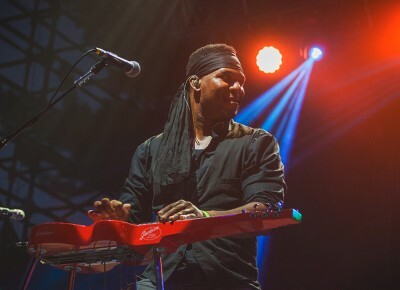 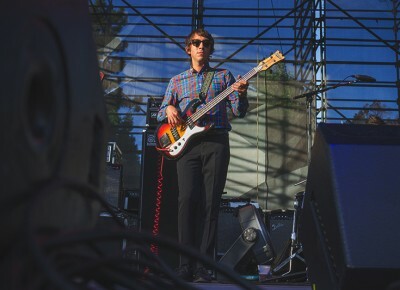 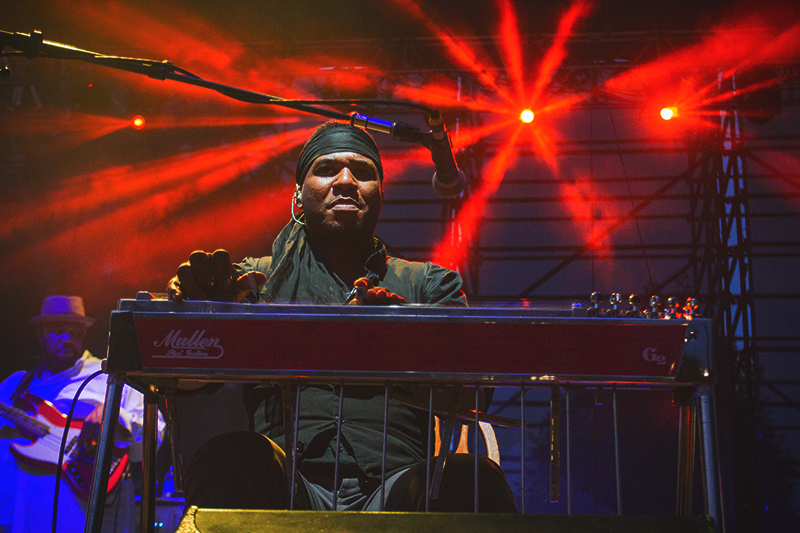 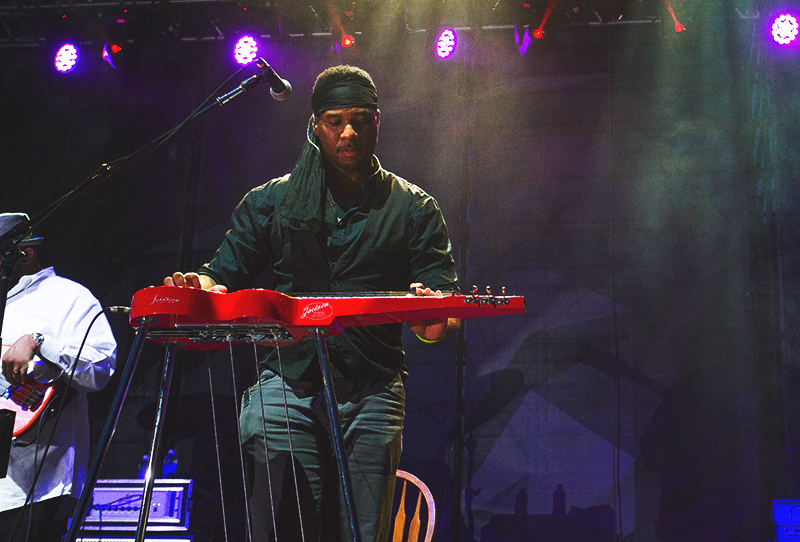 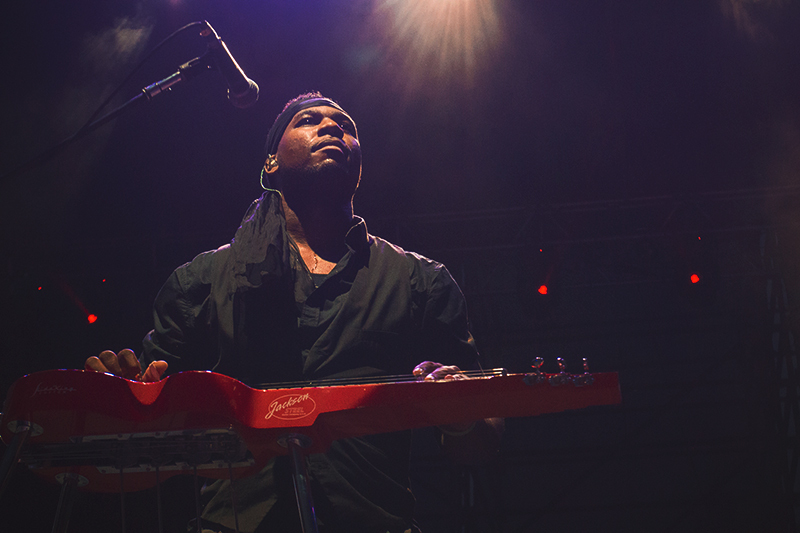 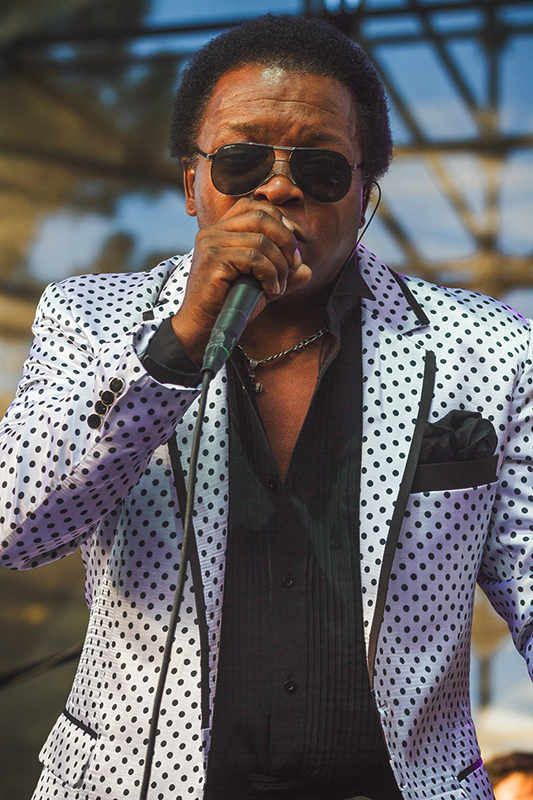 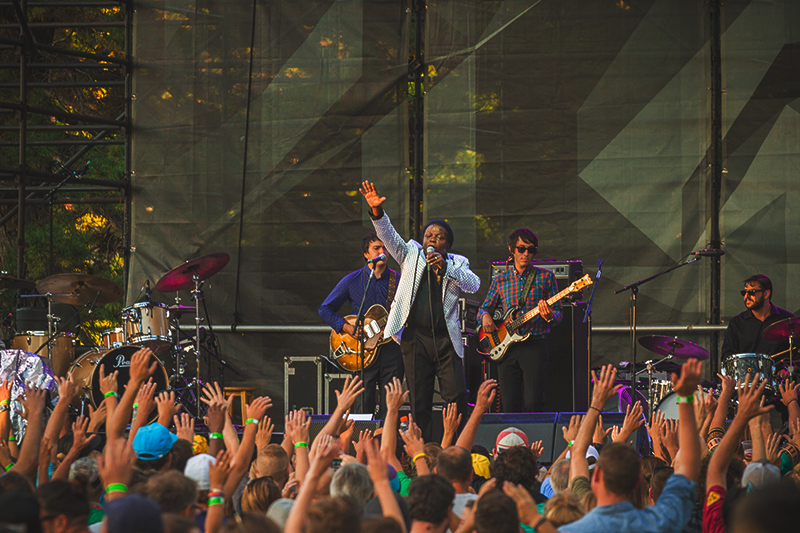 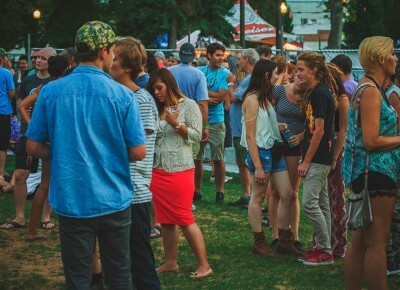 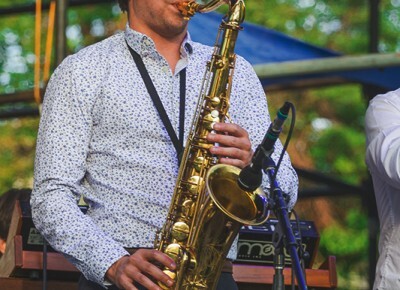 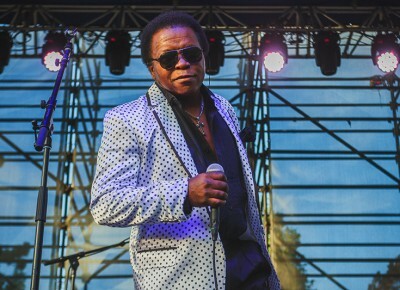 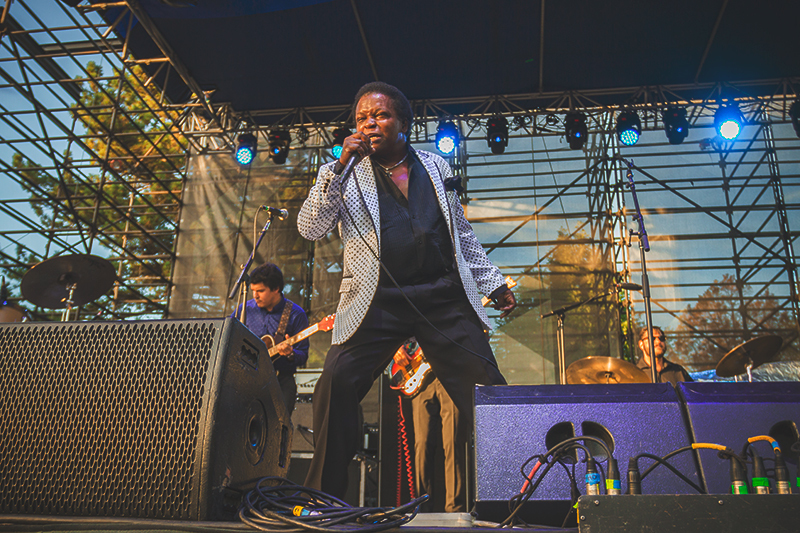 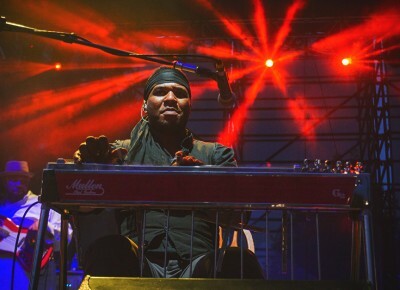 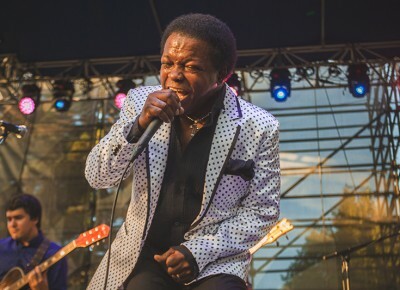 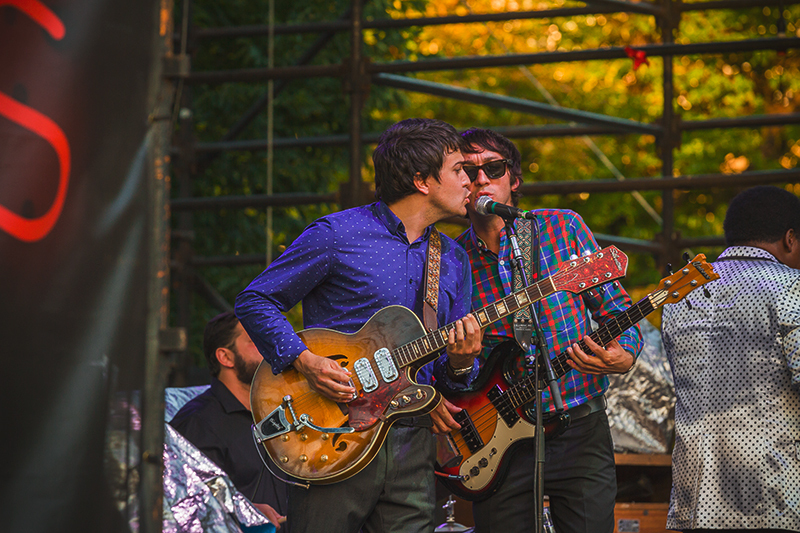 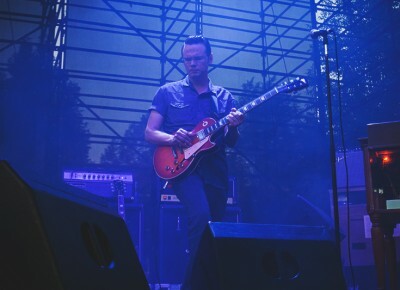 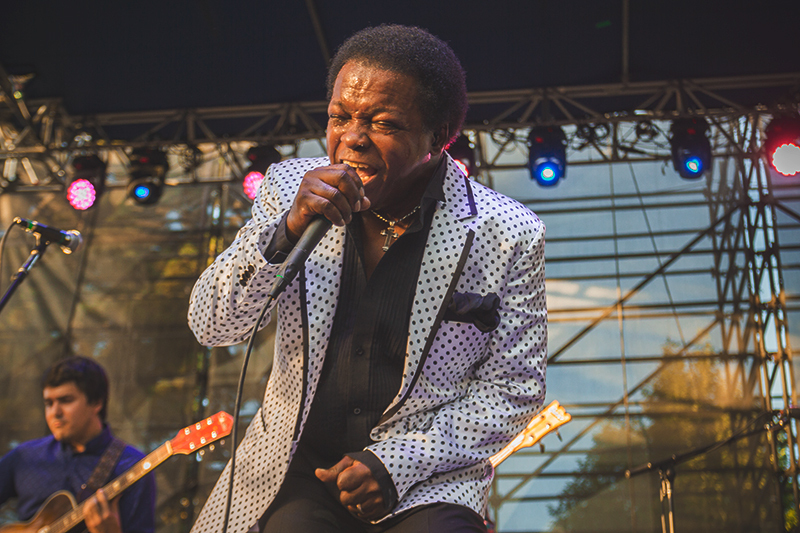 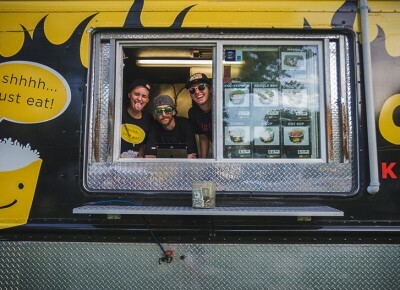 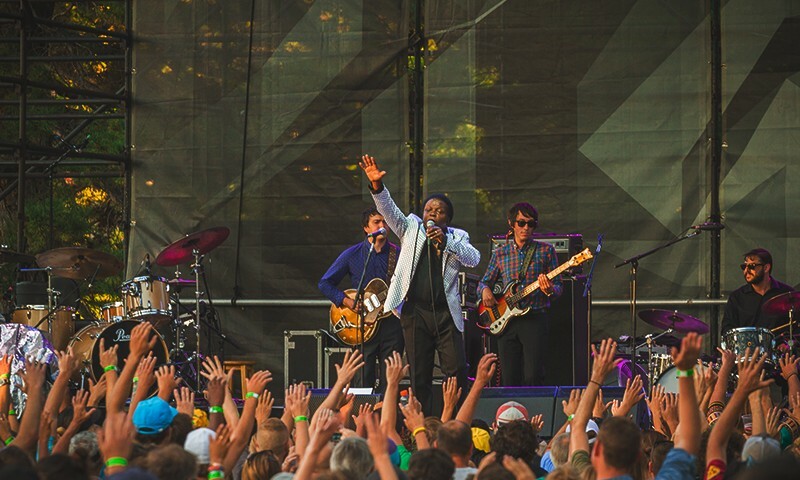 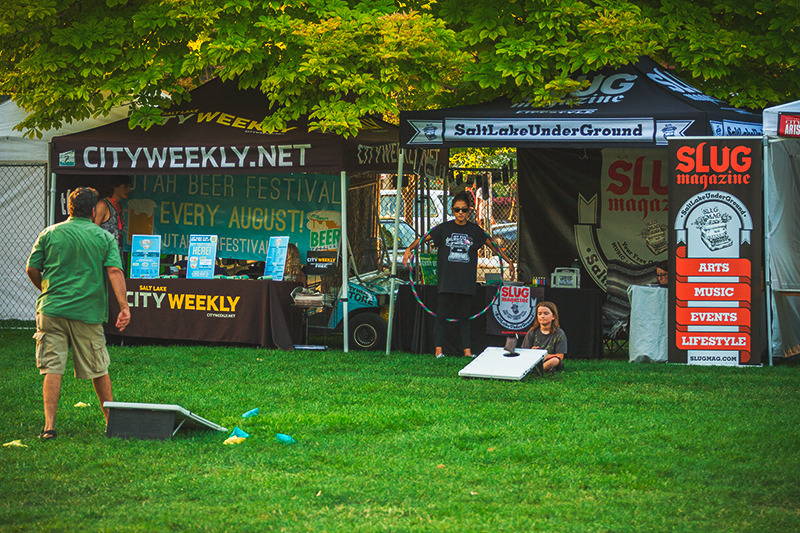 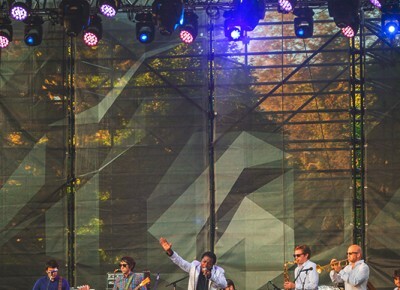 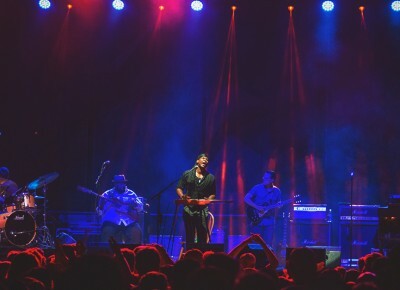 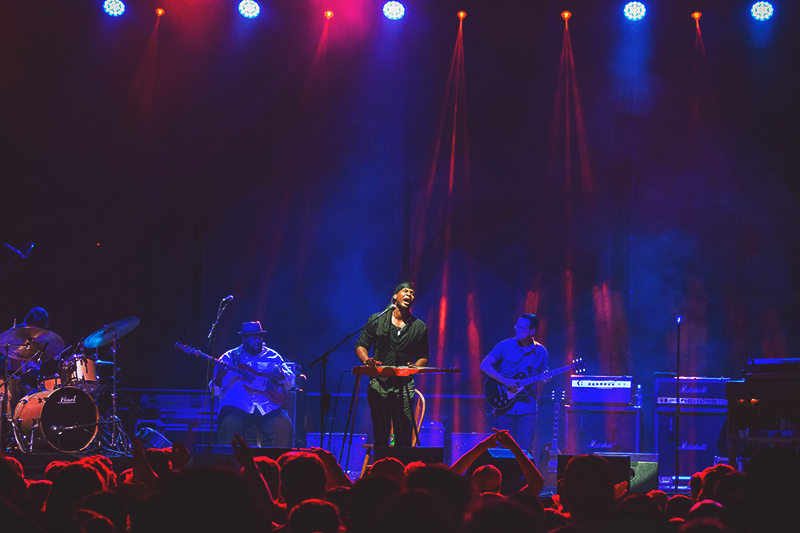 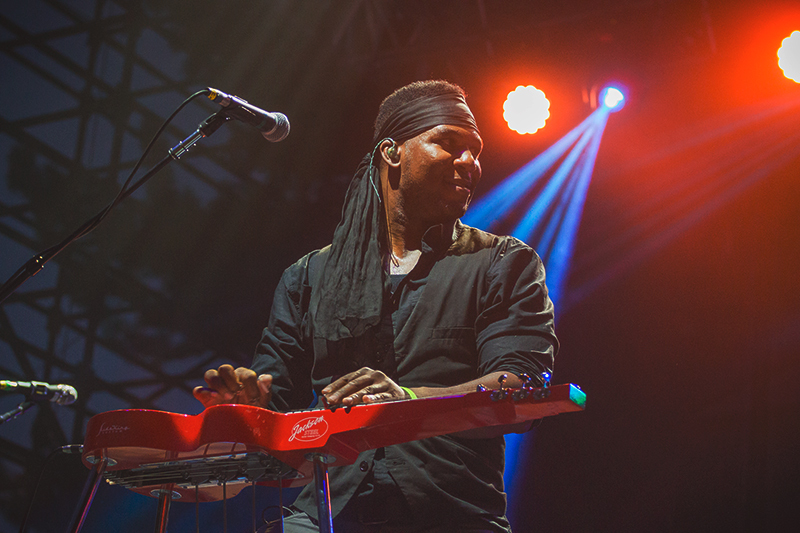 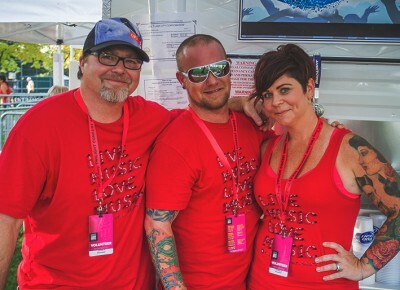 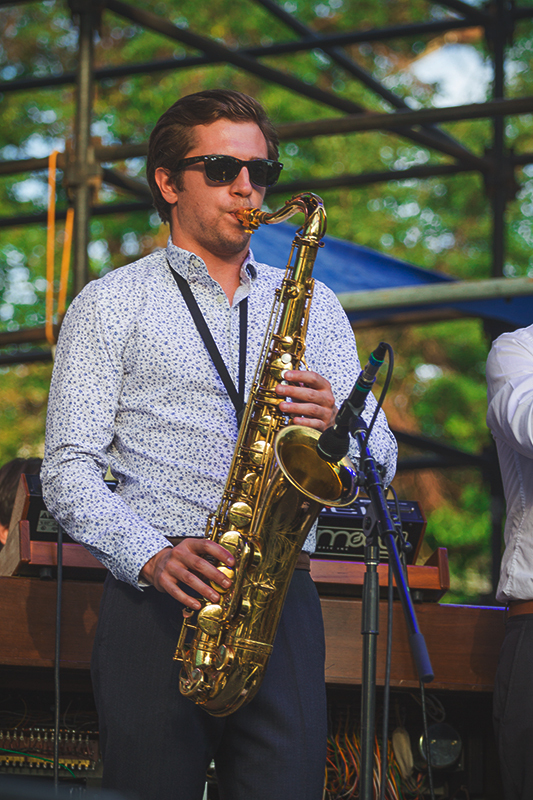 The Twilight Concert Series brings the soul to Salt Lake on Thursday night as bands Lee Fields and The Expressions alongside The Word perform. 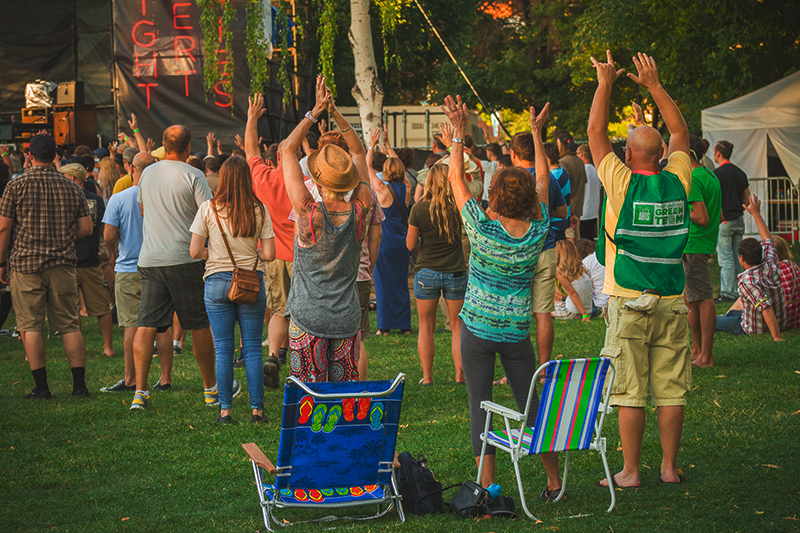 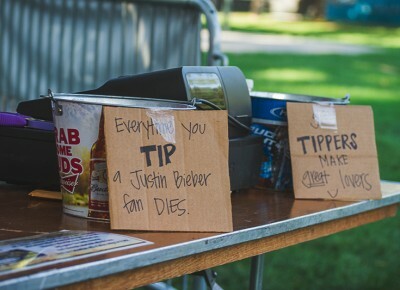 For the first time this year, I have felt unsure about the headlining act of the Twilight Concert Series. 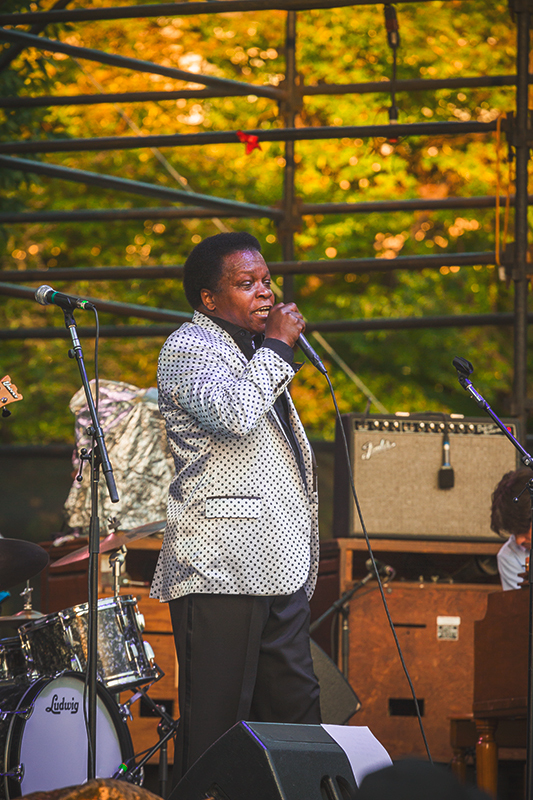 While Lee Fields and The Expressions brought the energy and really got me in the dancing mood, The Word were a little less than impressive. 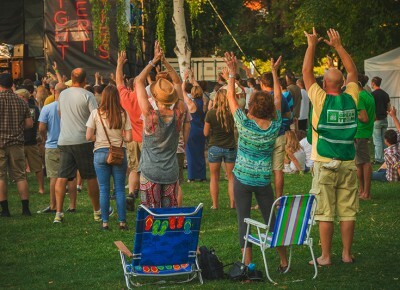 Unsure if their set was an ongoing sound check or if it was all part of the act, I was left confused as to what I was watching happen on stage. 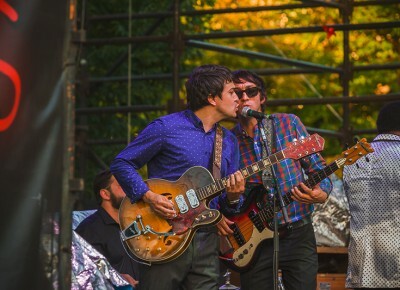 While I was well-prepared for the lack of vocals in their act, I was surprised to see a sound technician become a permanent stage member. 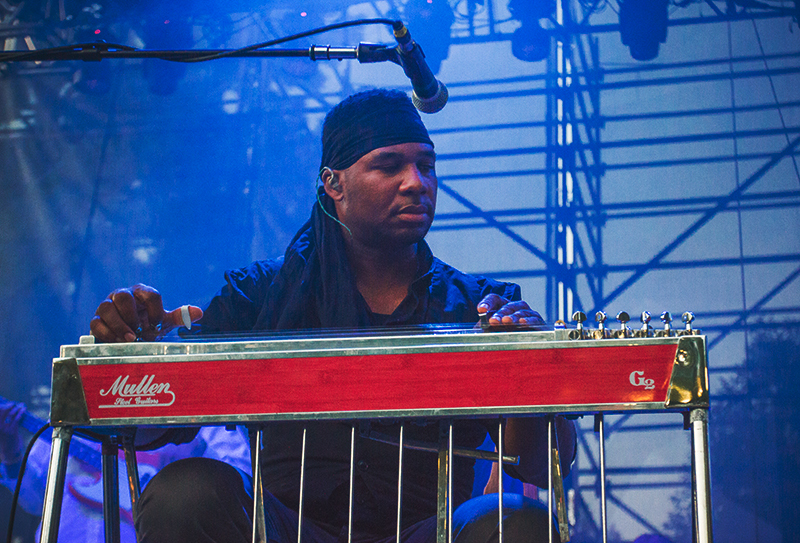 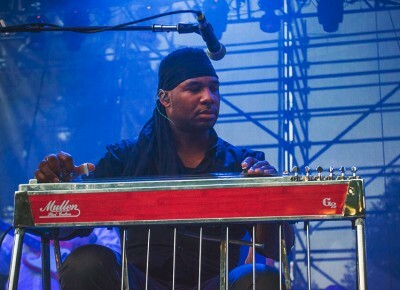 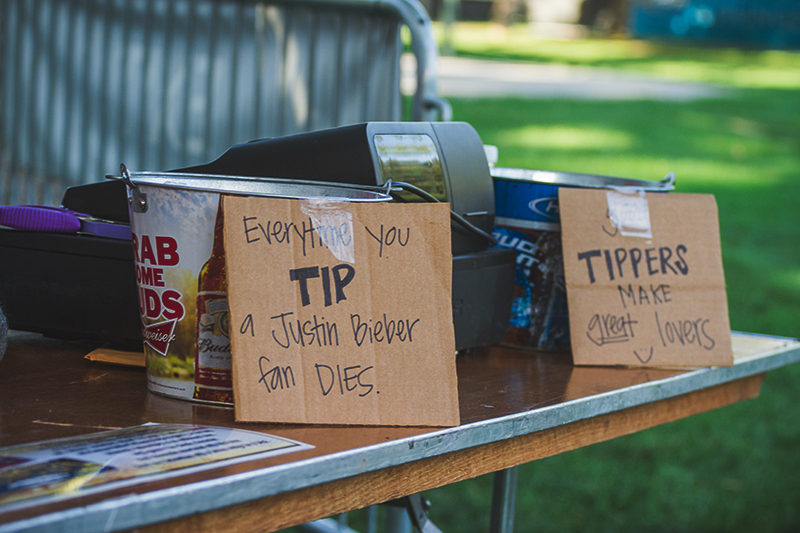 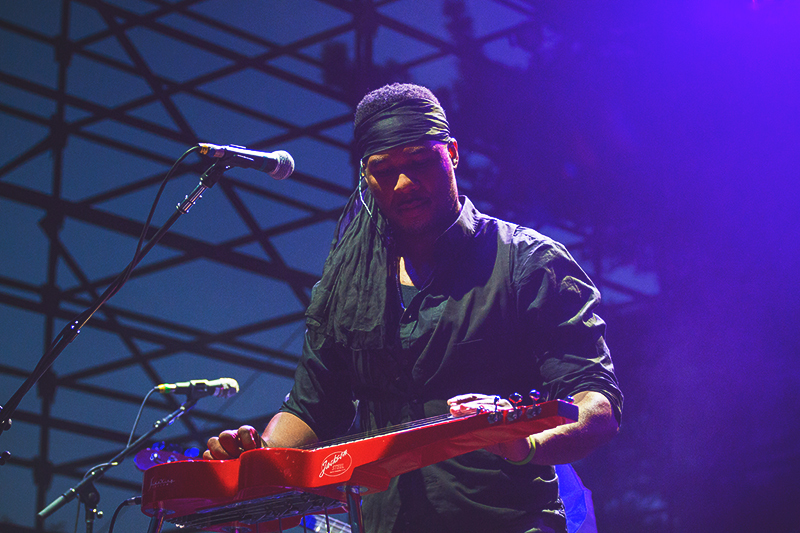 The constant fiddling of the steel guitar by the sound tech is what drew more of my attention throughout their set. 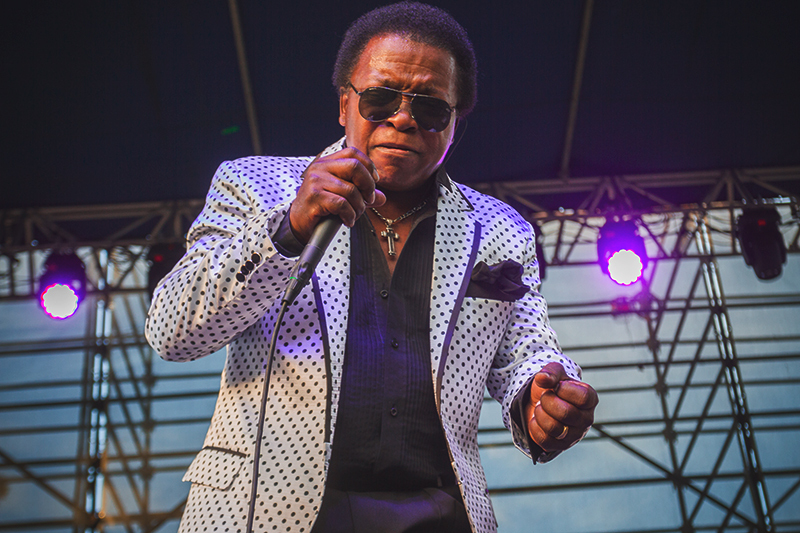 That being said, I would like to acknowledge the opening act Lee Fields and The Expressions for their insane energy and historically soulful sound. 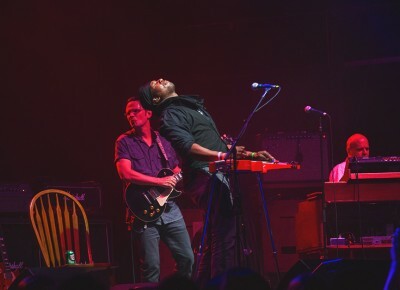 Without question the first half of Thursday night’s show was the gold standard for opening acts and deserved all the praise for making the night memorable. 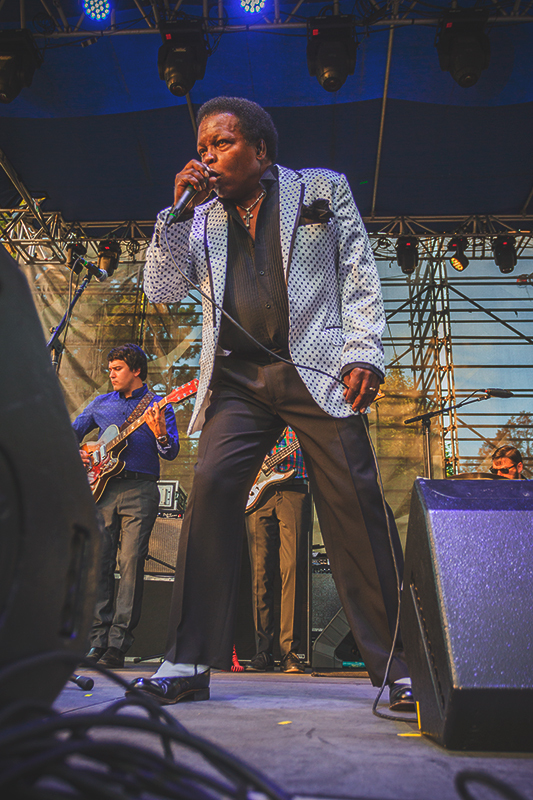 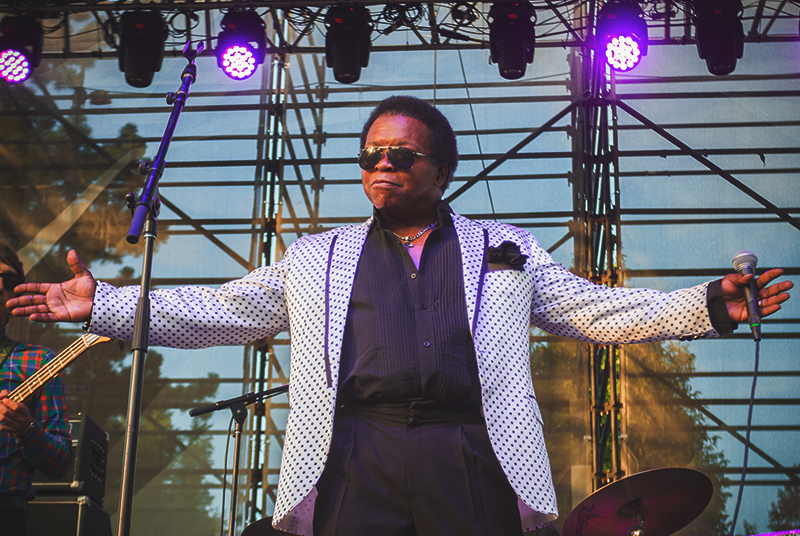 Lee Fields took us all to church last night and revived the sounds of soul music in the valley. 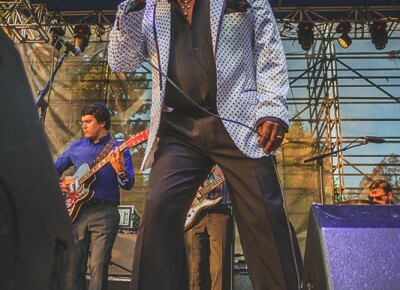 His resemblance to the king of soul, James Brown, is uncanny not only in the physical but in the audible as well. 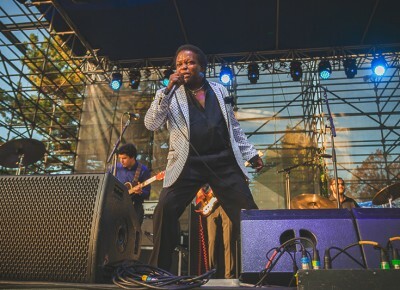 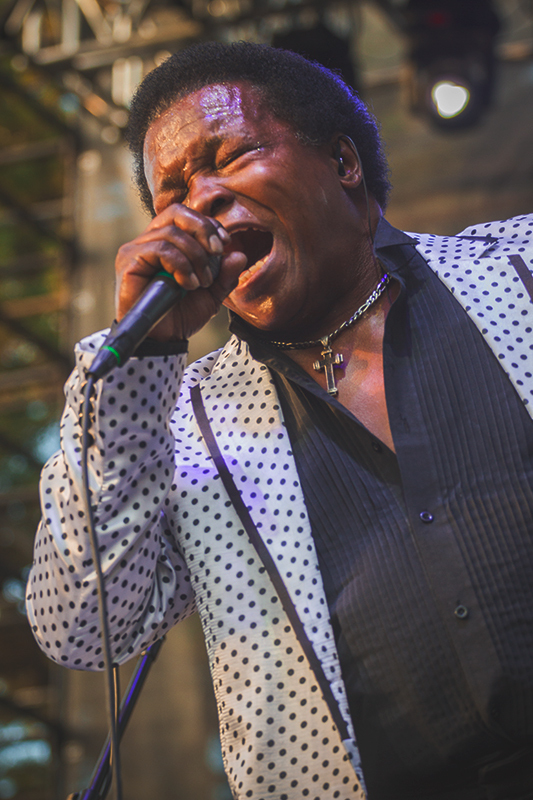 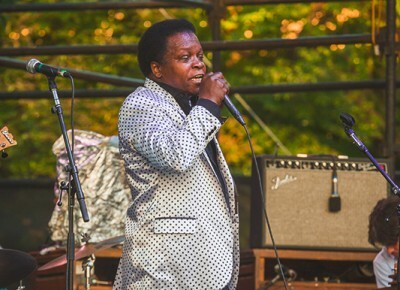 By the end of the night, it was Lee Fields and The Expressions who owned that stage, leaving The Word fighting to capture the energy they emitted throughout the park.